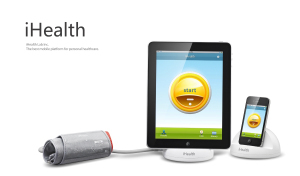 The iHealth Blood Pressure Monitoring System lets users measure and track their blood pressure and heart rate from the convenience of their iPhone, iPod touch and iPad. 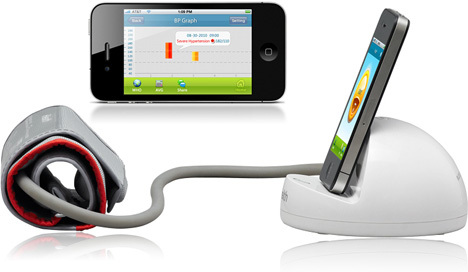 The system comes with a blood pressure arm cuff and a portable, battery-powered dock allowing for quick and easy set up. The dock also doubles as a charging station for all three iOS devices. The companion iHealth App includes an easy-to-use interface with data and graphics that allow the user to view their blood pressure numbers, track them over time, and run reports. Users can easily access previously recorded data sets, view patterns by date and time of day and create custom graphs and charts. Users can also instantaneously share the results with their doctor, or loved ones. The person should hold an engineering degree in Electronics or Bio Medical Engineering or MSc in Physics or Chemistry. The person should be energetic and willing to travel extensively.